I can’t believe Equine Affaire is only a couple of weeks away! Mid-November still sounds like months in the future, maybe because we’ve only just had our first cool spell here in central Florida – it’s about sixty degrees this morning, guys! But it’s true: Equine Affaire’s Massachusetts expo, November 10th through 13th 2016, is in less than three weeks. Join me at Equine Affaire 2016 – presentations, book-signings, or just a good chat about horses and books! Friday, Nov. 11 at 10 AM. 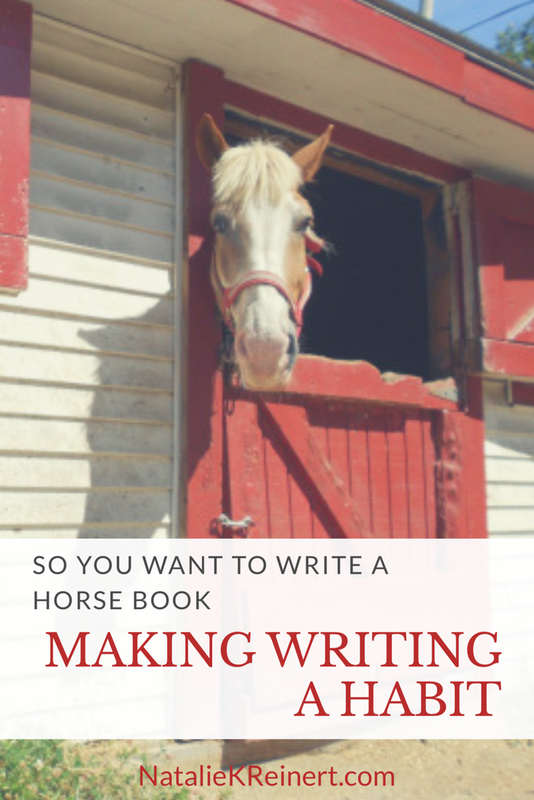 This year I’ll be on an author panel discussion about the importance of horses in fiction. If you’re here reading this, you know that horse books are the best books! What makes it that way, though? Is it just a mirror to the lives we love? Or is there something about horses that just makes any book better? I’ll be in conversation with authors Laura Moore (who has a beautiful romance, Remember Me, set on a Thoroughbred farm in Virginia) and Holly Robinson (whose new novel, Folly Cove, features horses in a coastal northeastern town. Maybe she has some winter clothing advice for me). Our moderator is the talented Connie Johnson Hambley, whose novelsThe Troubles and The Charity are set in the horse world. It’s going to be a (slightly nerdy) amazing time. And Hambley will be presenting with some of my favorite writers in another panel, as well! Mara Dabrishus, author of the remarkable and amazing (can you tell I love them) horse racing novels Staying the Distance and All Heart (among others) will be alongside also remarkable and amazing Maggie Dana, author of Timber Ridge Riders, and (also remarkable and talented) equestrian thriller writer, Patti Brooks. Add their panel to your schedule: “Favorite Fictional Horses: From the Black Stallion to My Little Pony – What our favorites say about us” on Thursday, November 10th at 11:00 AM. Along with these panels, there will be plenty of chat-time at the best booth in all of Equine Affaire, Taborton Equine Books. I’ll be at the book-signing table, daring you to come talk to me, on Thursday, Friday and Saturday. There will be paperbacks of my novels for sale, or bring your own! If you’re on the fence about attending Equine Affaire, go visit the website and see all the other incredible presentations available. Then come see me. Because I can’t wait to meet you! So now you’re blogging, right? You’ve read the first three parts of my series, and you’re following all of my advice, not in a crazy follow-the-guru kind of way, but in a she’s-been-down-this-road kind of way. You’re thinking about the way you want to write, if you’re going to write as true-to-life as you can, or if you’re going to create a new universe for your characters to inhabit. You’re ready to start making this thing happen. Whether or not you plot your book is another blog post. For now, I want to talk about writing habits. Horses like routines. It turns out, horse books do too. There are always people to tell you that award-winning best-selling author Junie Efficiency Jones gets up every morning at 5:30 AM to write a chapter before she goes off to feed her heirloom chickens and then heads to her Fortune 500 executive position. That’s great for her and I’m excited for her productivity level. But I’ve always fought against those arguing that habit is the only way to write a book. For one thing, I would argue, my schedule is too up-and-down to have a daily time set aside. I might have to work at 8 AM one day and 2:30 PM the next day — was I really supposed to write at 6 AM regardless? Not possible. Since a lot of writers are supporting themselves in the service industry, this is a common problem. By the same token, if you’re in the horse business, you might have an early show one day, a farrier appointment that takes three hours longer than you expected and pushes dinner back to nine o’clock the next night, and quite frankly not have the energy to even look at your computer on the third day. So no problem, I’ve always said. Write when you can. Carve out time. Write when you feel creative. Now I’m going to tell you that I’m finally a convert to the writing routine. In mid-June I started working a Monday-Friday, 8:30-5:30 kind of job. It’s the first time I’ve had a job like this in several years (the last time was when I taking care of horses and riding with the New York City Department of Parks and Recreation, during which period I wrote Other People’s Horses and Ambition), and I was faced with the very real possibility that I was not going to come home from work and feel like staring at yet another computer for an hour in the evening. I decided to write a thousand words every morning, before work. The only thing I was really giving up was my morning Twitter time. And since I work in social media, I was already spending plenty of time on Twitter. I really didn’t need the extra. It was a struggle at first, I admit. But I stuck with it because it was the only time I was going to write. There was no way I was going to get home from work at six o’clock, work out for half an hour, take a shower, and still find the time (and energy) to work. Here’s the thing: after a couple of weeks, writing that thousand words became hard-wired into my brain. I woke up thinking about my story. I started writing fifteen hundred words. I started writing two thousand words. Useful, good words — not filler. In fact, I was moving so fast on the plot, I realized I’d have to add in atmosphere and environments in the editing phase — the opposite of my usual writing style. In short, I’d never written so much, so quickly, wish such ease. I held off on the “get up in the morning and write” doctrine for so long, convinced it wasn’t for me, and all this time, I could have been pouring on the creativity. An added boost: stopping to go to work no matter where I am in my thoughts. Have you ever heard of closing your story mid-sentence, to boost your creativity when you return to the document? It’s the same thing. It works. There’s less wandering around, and more action. I’m also more aware of where I am in the story, which leads to fewer loose threads to tie up in edits. If you’ve ever read through a draft only to discover you introduced a plot point in chapter three but completely forgot about it by chapter six, you know what I’m talking about. It’s a problem. By the time I finished the first draft of Courage last month, I was writing two thousand words in about forty-five minutes each morning. Standing at my kitchen counter, drinking my coffee, I’d written a novel at least twice as fast as I’d ever written anything of comparable length… 85,000 words, with plenty of room to grow in edits. Now I’m editing in small bites each morning (still standing at my kitchen counter–it turns out that I think much better on my feet than in a chair, which should come as no surprise to any horseman) and I’m about halfway through. The book is growing in beautiful ways. I still wake up and open my laptop without even thinking about it… writing as soon as I get up is completely habit now. So this is it… possibly my number one piece of advice to you. Get a habit. Force yourself into the habit. And the habit will reward you richly. E.B. White: A writer who waits for ideal conditions under which to work will die without putting a word on paper. Haruki Marakami: The repetition itself becomes the important thing; it’s a form of mesmerism. I mesmerize myself to reach a deeper state of mind. Barbara Kingsolver: My morning begins with trying not to get up before the sun rises. But when I do, it’s because my head is too full of words, and I just need to get to my desk and start dumping them into a file. I really love that last one, because this is the state you can work yourself into through a habit of morning writing! This is the place I’m at when I’m writing a draft now, and it’s just so delightful. Even with the lack of sleep. What’s your writing routine? Have you tried and failed one, or do you have a routine that’s working for you? If not, what’s getting in your way? Maybe we can find a solution together.